To measure changes in the overall price level in an economy, policy makers and economists monitor a number of different economic indicators. 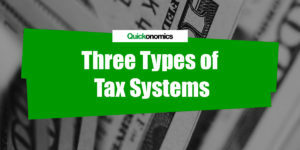 The two most important ones are the GDP deflator and the Consumer Price Index (CPI). 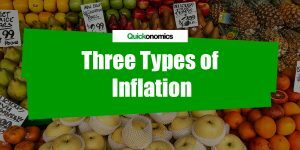 Even though they usually show similar results, there are two important differences between the GDP deflator and CPI that can cause them to diverge: (1) they reflect a different set of prices and (2) they weigh prices differently. The GDP deflator measures the price level of all goods and services that are produced within the economy (i.e. domestically). Meanwhile, the Consumer Price Index measures the price level of all goods and services that are bought by consumers within the economy. That means, the GDP deflator does not include changes in the price of imported goods, while the CPI does not account for changes in the price of exported goods. In addition to that, the CPI represents a fraction of all domestically produced goods and services, because it exclusively focuses on consumer goods. For example, let’s say the price of a Boeing 747 Jumbo Jet increases. Since Boeing is a US company, this shows up in the US GDP. As a result, the GDP deflator increases. However, a Boeing 747 is certainly not part of the market basket bought by typical US consumers. Therefore, the price increase will not affect the CPI. Thus, the increase in the price of a Boeing 747 has an effect on the GDP deflator but no effect on CPI. To give another example, assume the price of a Toyota Corolla (i.e. one of the best-selling cars in the US) increases. This has no effect on US GDP, because Toyota is a Japanese company. However, typical consumers in the United States buy Toyota Corollas, so the car is part of the typical basket of goods used to calculate CPI. Hence, the increase in the price of a Toyota Corolla has an effect on CPI but not on the GDP deflator. The CPI weighs prices against a fixed basket of goods (see also Limitations of CPI) and services, whereas the GDP deflator examines all currently produced goods and services. As a result, the goods used to calculate the GDP deflator change dynamically, whereas the market basket used for calculating CPI must be updated periodically. This can lead to diverging results if the prices of goods represented in both indicators don’t change proportionally. In other words, when the prices of some goods increase or decrease more than others, the two indicators may react differently. For example, let’s look at the prices of Ford trucks. Ford is an American company that sells its cars and trucks within the United States and abroad. As a matter of fact, Ford ranks in the top 10 for biggest US export companies (by asset value) and cars sold within the US at the same time. As a result, changes in the price of a Ford truck show up in both the GDP deflator and CPI. Ford Trucks are produced in the US and also bought by typical US consumers. However, if Ford Trucks are weighed more heavily in the GDP deflator than in the CPI market basket, the price increase will have a higher impact on the GDP deflator. This will cause the two indicators to diverge. 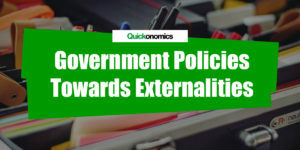 To measure the increase in the overall price level in an economy, policy makers and economists usually monitor both the GDP deflator as well as the Consumer Price Index (CPI). 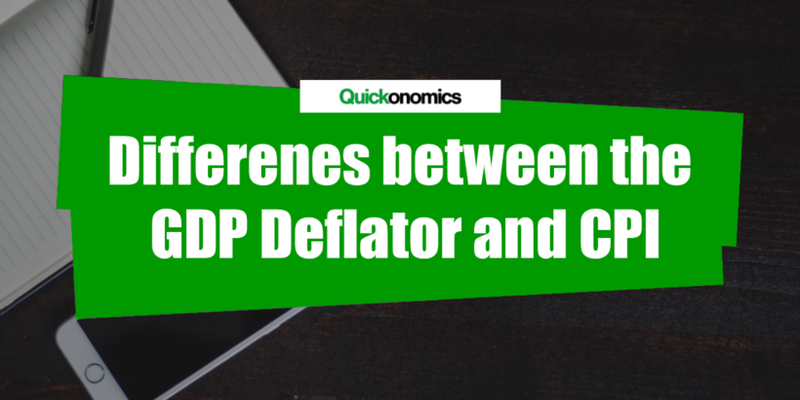 Even though the two indicators usually show similar results, there are two important differences between the GDP Deflator and CPI that can cause them to diverge. First, they reflect a different set of prices and second, they weigh prices differently.